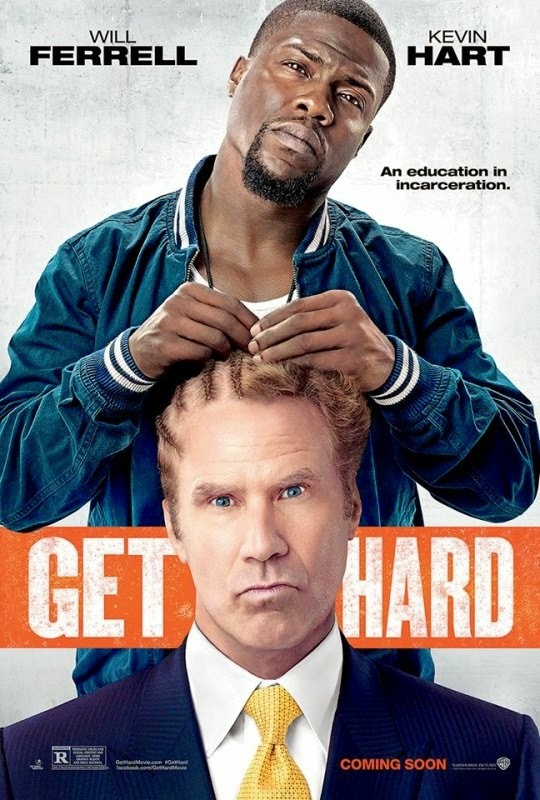 Get Hard is a comedy motion picture directed by Etan Cohen which stars Will Ferrell and Kevin Hart. The movie also features Craig T Nelson, Alison Brie, Edwina Findley Dickerson, Ariana Neal, T.I., Paul Ben-Victor, John Mayer, and Greg Germann. James King (Ferrell) is a highly successful stock market guru who runs into trouble with the law and finds himself being arrested during his engagement party. Darnell Lewis (Hart) is a man struggling to get his family into a new home and is looking for a way to raise the thousands of dollars needed for a down payment that will help him achieve that goal. With prison just 30 days away, James turns to Darnell to teach him how to survive his time behind bars and, even though Darnell is known for being anything but a thug or gangster, plays along so he can earn the money he needs for his family. I have never been a fan of Kevin Hart and Will Ferrell has always been hit or miss for me depending on the role he plays. Throw in a predictable, by-the-numbers story and I was very surprised to find myself actually having enjoyed the end result. This is definitely one of those films where you let your brain shut down for a couple hours so it can easily digest what it is seeing on the screen. 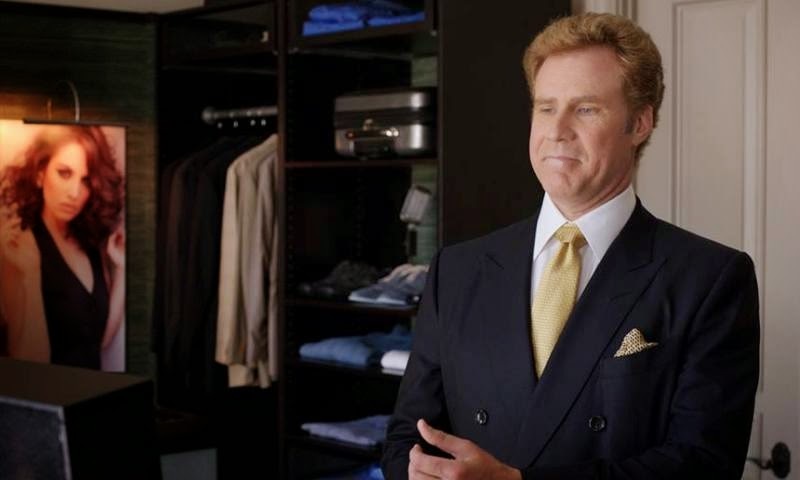 Ferrell and Hart are pretty much what you expect them to be in this movie and they go through all the standard comedy riffs like slap stick routines and (cringe) bathroom humor. 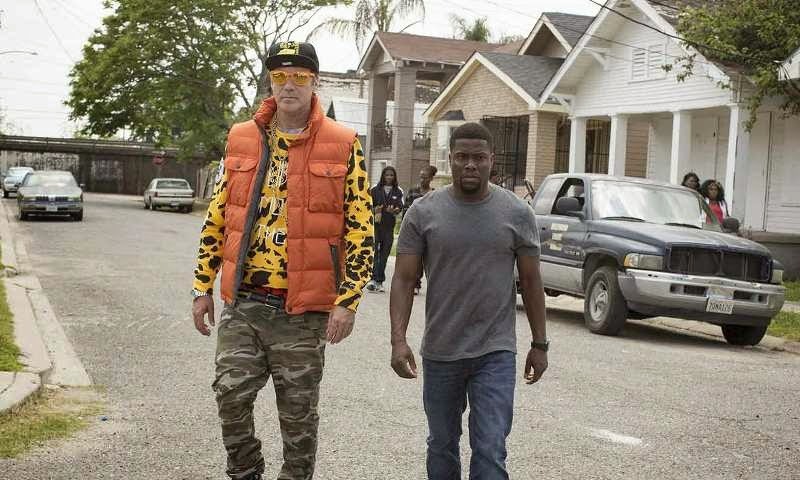 There are just enough genuinely funny moments to make Get Hard watchable although I would fall just short of saying it's any kind of must see comedy film. If you have nothing else to do and don't mind watching these guys in a move, you should be okay watching it.